A European agency has advised that airplane manufacturers on the continent stop using products produced by Kobe Steel until those products can be certified as safe, according to Reuters. Kobe Steel has been entangled in a growing scandal over the quality of its metals after it acknowledged that it was shipping some products that weren’t as strong or durable as Kobe had said they were. The scandal has already attracted the attention of the U.S. government, and while three Japanese automakers said this week that the aluminum made by Kobe Steel in their cars are fine, the European Aviation Safety Agency said Tuesday that they would tell plane makers to use other suppliers for now. “Where alternative suppliers are available, it is recommended to suspend use of Kobe Steel products until the legitimacy of the affected parts can be determined,” EASA said in a Safety Information Bulletin (SIB) dated Oct. 17. EASA said the concern was not serious enough at this stage to warrant any compulsory measures. A Kobe Steel spokesman declined to comment on the EASA statement. The admissions that Kobe Steel’s supply chains have been tainted, affecting about 500 companies across the world, has sent its shares into freefall. The tampering went back more than 10 years, a source told Reuters earlier this week. The scandal puts another stain on Japan’s manufacturing prowess after similar cases including automakers Mitsubishi Motors Corp (7211.T) and Nissan Motor Co (7201.T). 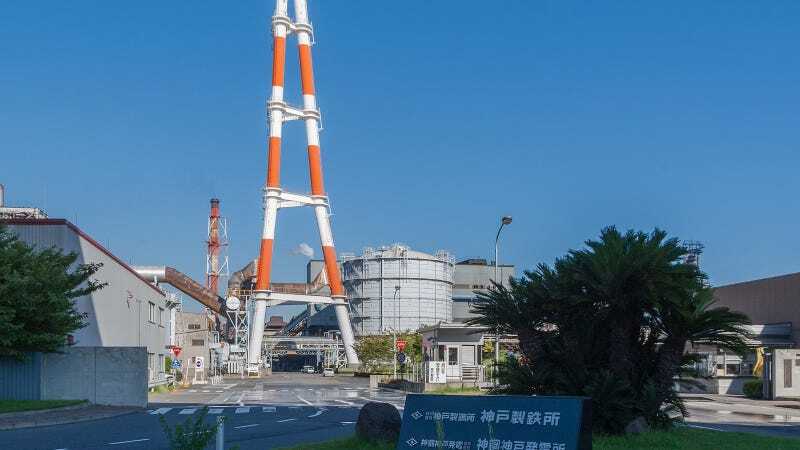 “All organisations that may have specified or used Kobe Steel products should do a thorough review of their supply chains in order to identify if, and when, Kobe Steel products have been used in their product designs and fabrications,” the SIB said. What’s the upshot here? Long investigations, conducted by numerous governments that may or may not reveal that Kobe Steel has been selling metals that will make millions (billions?) of people unsafe.